Description: The high flow relief vents allow high volumes of air to flow from containers where pressure and vacuum relief are necessary. Relief settings for pressure and vacuum as well as elastomers are specified by the customer. 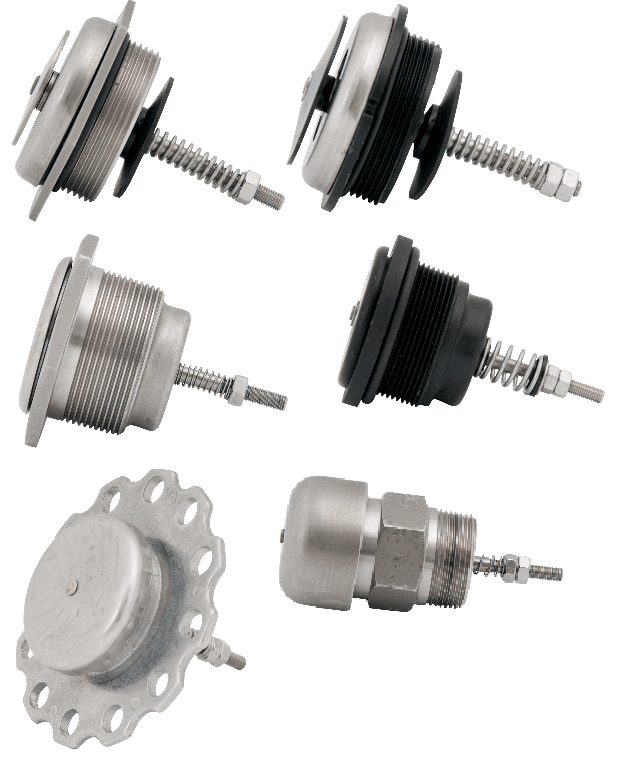 We can offer many different options including filters and spark arrestors. Description: Gits fusible caps have a fusible ring seal that is designed to release in case of fire. Available with lead-free fusible link as well as cable lanyard and hardware for tank attachment. Description: Breather vents and expansion chambers are designed to safeguard against exteme pressure and vacuum build up. Gits Breather Vents are available with multiple types of filters in a variety of sizes and profiles to fit customer applications. 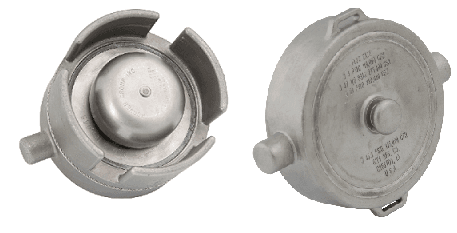 In harsh environments, expansion chambers can be used when a closed system is needed.